The Museum announces that 2016 is the year for adventure with Around the World and the return of Rainforest Adventure! Rainforest Adventure is at Stepping Stones from January - June 2016. Around the World is part of the museum’s award-winning Global Connections Initiative and received the Promising Practice and Replication award from the Association of Children’s Museums and MetLife Foundation. Get those explorer hats on! Visitors to Stepping Stones Museum for Children in 2016 will find adventure around every corner with new everyday learning programs, family events, a new Around the World Adventure series and, of course, new traveling exhibits! 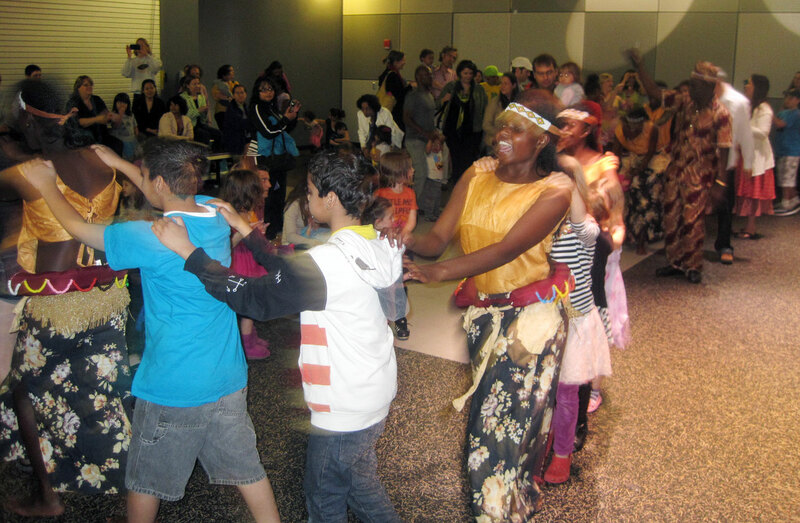 This annual, award-winning, family-favorite program presents artists, musicians, dancers, storytellers and youth performers representing a variety of cultures and traditions. In 2016, we embark on our tour of Asia — 12 months of exciting Asian destinations. Each destination will be explored through programs such as the Performance Series, Creative Kids and Show Me a Tale. 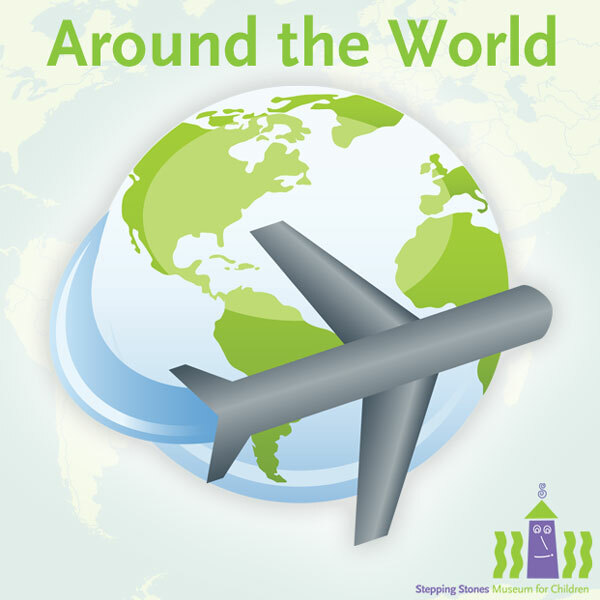 Around the World is part of the museum’s award-winning Global Connections Initiative and received the Promising Practice and Replication award from the Association of Children’s Museums and MetLife Foundation. Visit http://www.steppingstonesmuseum.org/atw for all the details. Explore Rainforest Adventure, opening January 30 and running through June 13, 2016. Rainforest Adventure is a multi-sensory expedition that introduces visitors to tropical rainforests around the world, highlights the challenges facing these unique ecological wonders and suggests ways that people can make a difference. Rainforest Adventure topics include: tropical rainforests around the world, conservation, scientists, animals, plants and global connections. Rainforest Adventure was created by Stepping Stones Museum for Children. This exhibit is partially sponsored by Horizon Foundation, Inc. Stepping Stones Museum for Children, celebrating its 15th birthday this year, is an award-winning, private, non-profit 501 (c) (3) children’s museum committed to broadening and enriching the lives of children and families. Stepping Stones Museum for Children is located at 303 West Ave., Norwalk, CT, exit 14 North and 15 South off I-95. Museum hours are: Memorial Day through Labor Day, Monday-Sunday from 10 a.m.-5 p.m. and Labor Day through Memorial Day, Tuesday—Sunday and select holiday Mondays from 10 a.m.-5 p.m. Admission is $15 for adults and children and $10 for seniors. Children under 1 are free. For more information about Stepping Stones, to book a field trip or schedule a class, workshop or facility rental call 203-899-0606 or visit http://www.steppingstonesmuseum.org. In 2016, we embark on our tour of Asia! Past Around the World performance.